BASF and Sinopec have signed a Memorandum of Understanding (MoU) in Beijing to further strengthen their partnership in upstream and downstream chemical production in China. Ludwigshafen/Germany; Nanjing/China — The partners intend to build an additional steam cracker and to further expand their existing 50:50 joint venture, BASF-YPC. A joint pre-feasbility study will be concluded by the end of 2018. Additionally, the two companies will jointly explore new business opportunities in China’s fast-growing battery materials market. According to the MoU, the JV will invest in a 50 % stake to build a second steam cracker with a capacity of 1,000,000 metric tons of ethylene per year. Sinopec Yangtzi Petrochemical (YPC) will invest the other 50 %. Both companies will have access to all of the products of the new steam cracker to develop their downstream product portfolios. 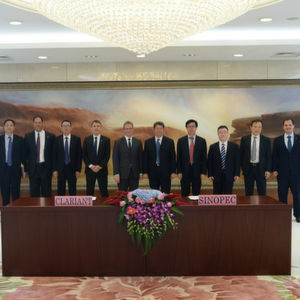 Additionally, the basic chemicals provided by the new steam cracker enable the JV partners to expand production capacity at BASF-YPC, their existing integrated joint venture “Verbund” site in Nanjing. At a Verbund site, plants are interconnected in order to utilize products, by-products and energy in the most efficient way, to save costs and minimize environmental impact. The partners are also jointly exploring new business opportunities in battery materials. The rising importance of alternative energy in China, especially in the automotive industry, has led to a surge in demand for innovative battery materials for a range of applications. BASF-YPC was founded in 2000, with a total investment to date of approximately $5.2 billion. 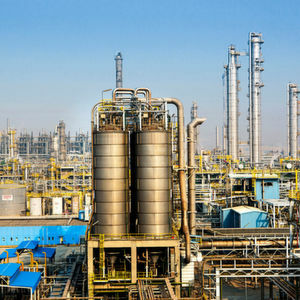 The integrated petrochemical site produces about three million tons of high-quality chemicals and polymers for the Chinese market annually. The products serve rapidly-growing demand in multiple industries including agriculture, construction, electronics, pharmaceutical, hygiene, automotive and chemical manufacturing. BASF-YPC posted sales of approximately $ 3 billion in 2017 and employed 1,882 people as of the end of that year.